Mount Everest occupies an interesting space in the minds of New Zealanders. Thanks to the legacy of Sir Edmund Hillary, the mountain is familiar, friendly even – deeply intertwined into our identity as a small nation that punches far above its weight. Sir Edmund Hillary’s story is engrained into us as children, and his handsome young face adorns our five dollar bills. Everest is part of our cultural narrative, a proud example of Kiwis overcoming great odds on the global stage. 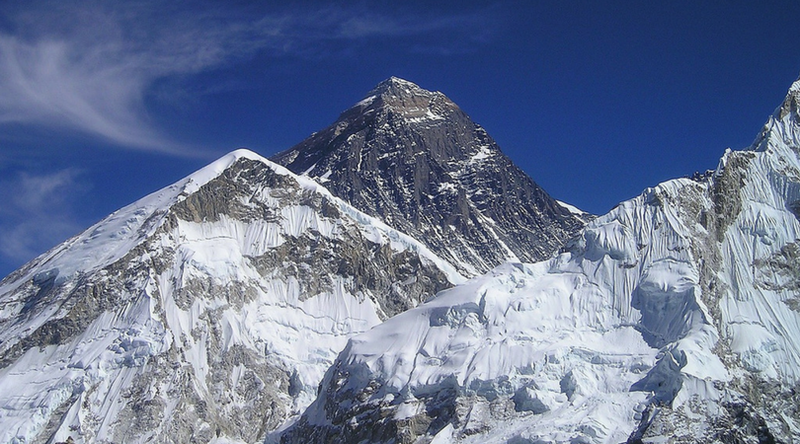 Yet, as familiar as we are with Everest in name, we’re all too distant from Everest in nature. Although Sir Edmund Hillary’s achievement may be at the forefront of our collective memory, Everest itself is worlds away. For most people, it will forever remain unchartered territory; a place to read about, dream about, but never visit. Until recently, my impression of Everest was almost solely shaped by Hillary’s glorious triumph. In my mind, Everest was a place of beauty and success. I knew reaching the summit was incredibly difficult, but this ‘small detail’ was often overshadowed by Hillary’s victorious narrative. In my mind, Everest was synonymous with overcoming adversity – but what that adversity could mean (death, trauma) rarely entered my periphery. Perhaps this is mostly due to my naivety, and partly because it’s much better to focus on the successful ascensions, as opposed to the lives claimed. It wasn’t until I saw the film Everest that my mind shifted. Suddenly, thanks to awe-inspiring cinematography, the mountain went from being a figment of my imagination to something almost tangible. And instead of being a tale of euphoria and triumph, Everest was a heart-wrenching 150 minutes of pain and struggle. Yes, it was inspiring – but not in the way I expected. Watching the film triggered a lot of Googling and pondering about why people push themselves to the brink of their physical and mental limitations. I understand the attraction of pushing yourself – but that far? For some reason Everest takes ‘overcoming adversity’ to a level that I struggle to wrap my head around. At the same time, I find myself admiring the climbers and perhaps even feeling slightly jealous of their bravery and tenacity. Recommended to me by a friend, Into Thin Air by Jon Krakauer delves deeper into the question of why. Published in 1997, just one year after the disaster, it’s a raw, confronting account of resilience and tragedy. It tells the same story as the film – although minus the cinematography and acting, it’s a lot more philosophical. Unlike in most cases, reading the book after seeing the film was incredible – I could vividly imagine the scenes and felt familiar with some of the characters already. If you’ve seen the film and left wanting more, Into Thin Air will do much to sate your appetite for all things Everest. It will paint a much deeper picture of the mountain’s history, and go some way in explaining why people become so obsessed with reaching the peak. I couldn’t put this book down. Too often in stories of triumph over adversity, the actual adversity part is glossed over, or worse – ignored. We focus on the win, and everything else is secondary. Krakauer’s book does the opposite; it centres on the struggle, the pain, the fear, taking you deep into the heart and mind of a climber. If you’ve ever wondered what climbing Everest is really like, this book is a good place to start.